If you’re looking for an interesting activity in Bangkok for kids, Elephant Parade offers an Elephant Painting Workshop. 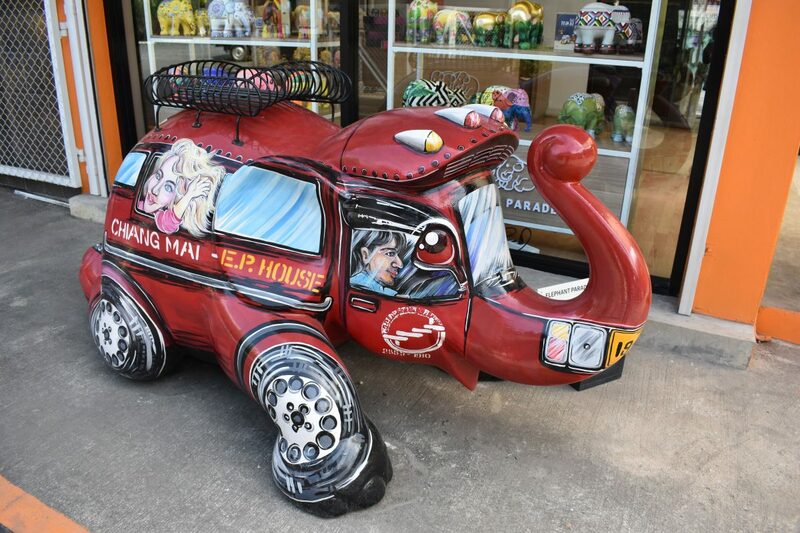 Elephant Parade is a social enterprise raising awareness of the need for Elephant conservation. They hold art exhibitions of elaborately decorated elephant statues in countries around the world. A percentage of all income goes to elephant welfare & conservation projects. 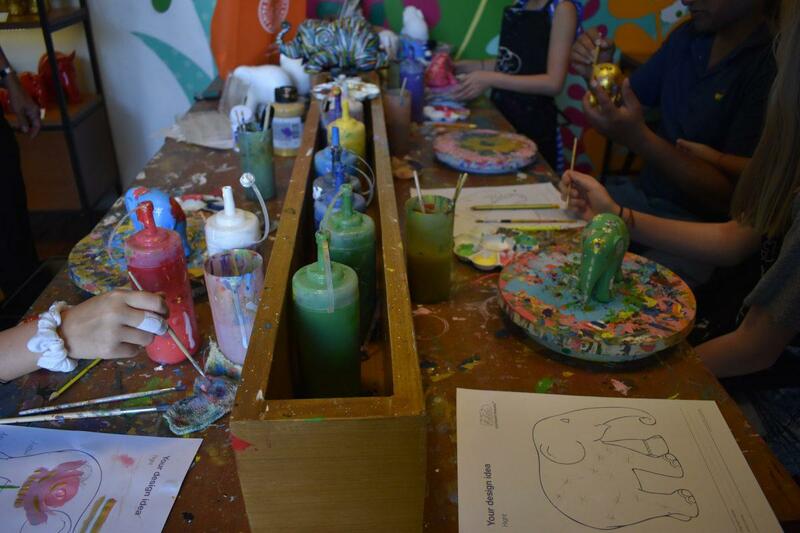 The Elephant Parade Workshop lets you design your own elephant and take it home. In Bangkok, there are workshops at River City, & the Peninsula & Shangri-La hotels. There are also workshops in Chiang Mai, Pattaya & Phuket. Firstly, you need to buy an elephant. The elephant’s cost 600 baht (10cm) or 1000 baht (15cm). 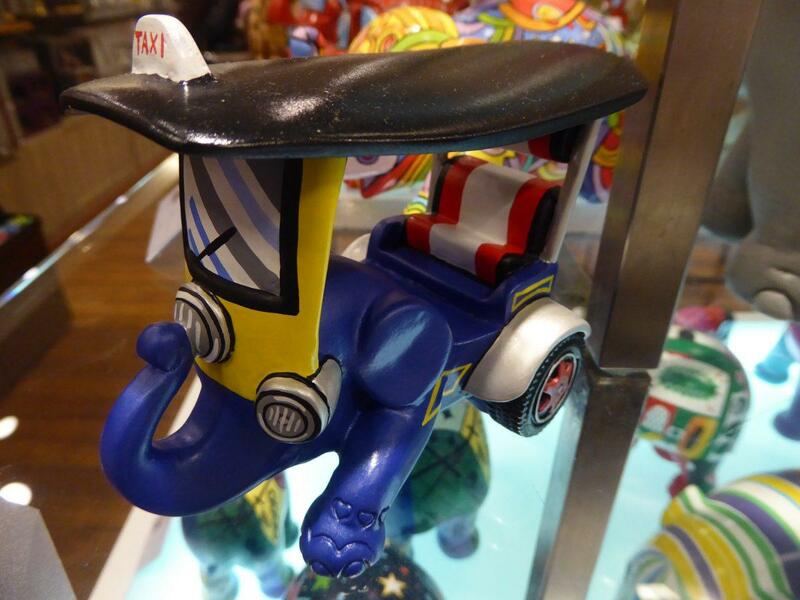 A 15cm elephant allows you to enter your elephant in a global Artbox competition. There is no time limit but it usually takes 1-2 hours to paint an elephant. The shop staff will supervise & offer tips on painting your elephant. Included in the price are paint brushes, paint, tray, apron, use of a blow-dryer (for drying the paint! ), small snacks & drinking water. The workshop is great fun for children of all ages as well as adults. You also get the satisfaction of creating a piece of art that you will own for the rest of your life and contributing to elephant conservation. 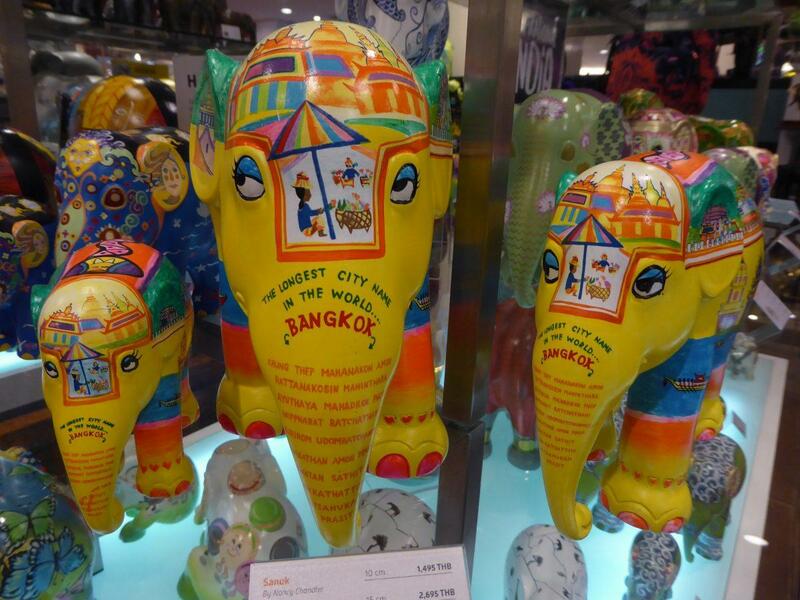 If you want to buy an already decorated elephant from Elephant Parade, check out their shop locations here. Getting There: Chao Phraya Express Boat, Si Phraya Pier. Getting There: BTS Saphan Taksin Station. Take the free Peninsula Shuttle Boat from Charoen Krung Soi 42/1. Getting There: BTS Saphan Taksin Station. Hotel entrances on Charoen Krung 50 alley or Soi 42/1. For details of the shops in Chiang Mai, Pattaya & Phuket check here.